Circulation Clerk performs a variety of public service, technical and clerical duties related to the ciruclation and maintenance of all materials. Responsible for supervising volunteers, assisting patrons with technology issues, processing all interlibrary loans, handling & reconciling cash. This position requires high energy and the abilities of a multi-tasker. Strong computer skills, creativity, enthusiasm and ability to work as a team member. 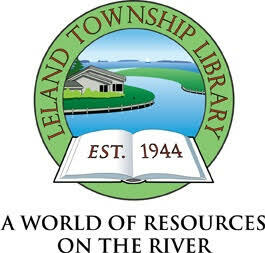 Leland Township Public Library is a small public library serving a diverse population. Specific degree not mandatory, but prior library experience or other public service experience preferred. Excellent oral and written communication skills a must. Ability to work in a fast-paced environment. Ability to life 40 plus pounds. High School diploma; some college preferred. Experience is critical. Library experience preferred, but not mandatory. Mail cover letter, resume, three references to Box 736, Leland, MI 49654, or email packet to lelandlibrary@lelandtownshiplibrary.org.